Keep it short. This is your first time hosting, so you don’t want kids to be overwhelmed by lots of people over at your house. Plus, you want to consider how well you can supervise the children. Three to five kids are enough for you and your spouse. Another thing that you should consider here is the invitations. More than the aesthetics of the actual invite cards, you have to pay attention to the details you put in them for the benefit of the parents of your kids’ peers. It’s best if you can indicate what time the kids can be dropped off and picked up, what they should bring, and if possible, what activities are on the schedule. It might seem a little over the top for such a ‘mini event,’ but do note that these are kids whose parents might be anxious about the safety or security of their children. It’s good if you have already built a relationship with such parents. Otherwise, increase their confidence by having a nice invitation. While you’re handing out the invites, consult the parents about their children’s food allergies and nighttime habits. For teenagers, non-stop talks about their crushes can be enough to keep them preoccupied. However, for children, they need to get their hands busy. Thus, plan activities early on. Have them decorate cupcakes or ice cream and let them play board games or enjoy karaoke. You can prepare different kinds of nail polish or some video games. Of course, don’t forget the snacks. Get the slumber-party-finger-food essentials: chocolate chip cookies, soft pretzels, butter popcorn, potato chips and pizza. You can call for pizza home delivery. Singapore boutique restaurants usually have better-tasting pizzas than most franchises. However, you should give the kids snacks early in the evening and never an hour before bedtime. For dinner, make sure to serve filling meals. The best scenario is that you have lots of space to lay out the sleeping bags. That way, the kids will not fall on top of each other or argue about who has to be at the top bunk. If you have limited space, you might want to readjust your furniture to make way for sleeping bags. The time for sleeping is also essential. Of course, sleep doesn’t necessarily happen in sleepovers. Still, do your best to make the kids doze off. Inform them that when the lights go out, it’s time to sleep already. Dim the lights an hour before to prep them for bed. If you still hear whispers with the lights out, consider sleeping in their room. Ultimately, sleepovers are a good bonding activity for your kids and their peers. 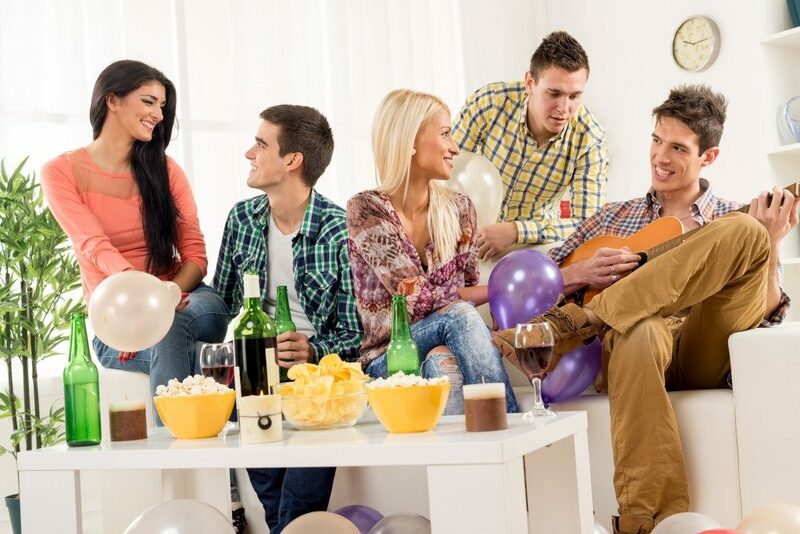 Be the best host for them by taking note of these tips.